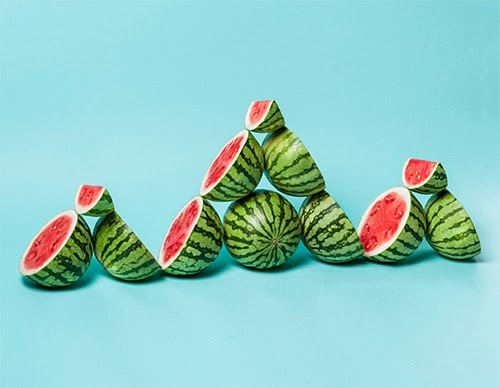 Works of Marion Luttenberger featuring watermelons in a unique light. 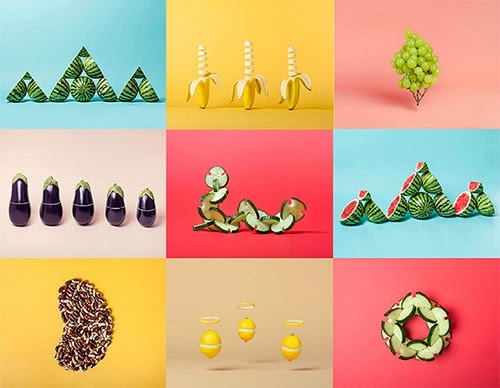 Not a fan of watermelons but I love this laser-cut like precision! 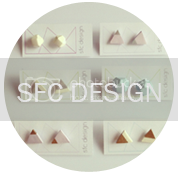 and the best part is that each piece is actually cut in a very standard way, just arranged beautifully into a triangle. 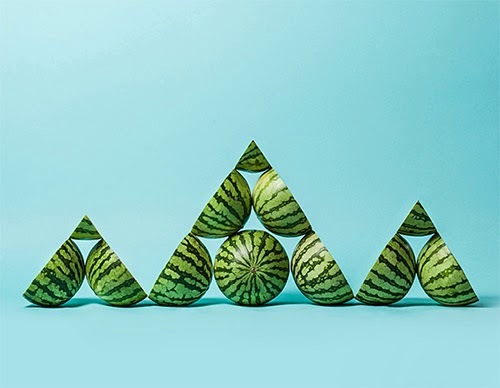 Speaking of geometric watermelon, have you seen the square watermelons in Japan? It's usually displayed in premium fruit stores but those things make me so uncomfortable.. just think of the days the watermelon spent confined in a little box. Talk about claustrophobic. See more of his fun photos here.